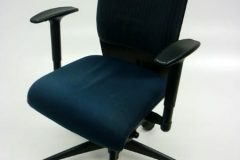 These Girsberger operator chairs have blue fabric seats with grey and blue striped, generously padded backs. 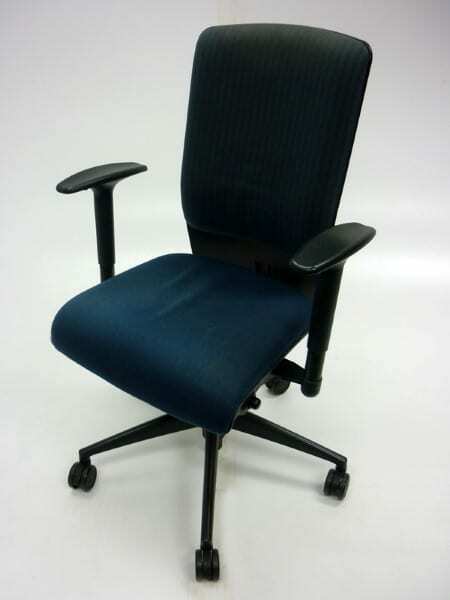 They are set on a chrome swivel base and feature tension control to adjust the chair to its user’s weight. If you would like more information, please get in touch with our sales team on 07534 973423 or use the Telephone Icon at the bottom right hand side of your screen. As always, these tasteful chairs can be viewed in our showroom along with all our other used office furniture.